Ningura is a senior artist from Kintore, 500km west of Alice Springs NT. Her painterly style and composition reflects a growing desire by her and many artists in the region to experiment with from and colour using Aboriginal narratives as a mere ‘starting point’, presenting modern and fresh paintings to a new audience. Her work is characterised by a strong dynamism and rich linear design-compositions, created with heavy layers of acrylic paint. According to Australian Art Collector No.37, Ningura Napurrula is one of Australia's most important and collectable artists. Ningura was chosen as the sole female desert artist to paint the ceiling of the acclaimed Musee du quai Branly in Paris, France. 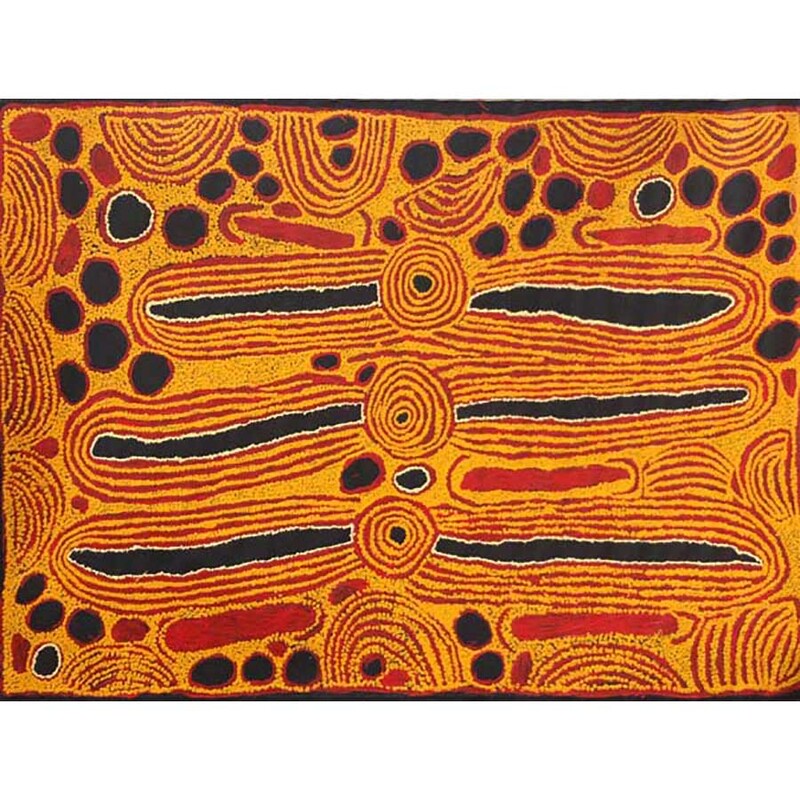 Ningura is represented in major public galleries both nationally and internationally including the Musee du quai Branly and her work is held in numerous collections nationally, including Nationally Gallery of Australia, Canberra and Art Gallery of NSW, Sydney. 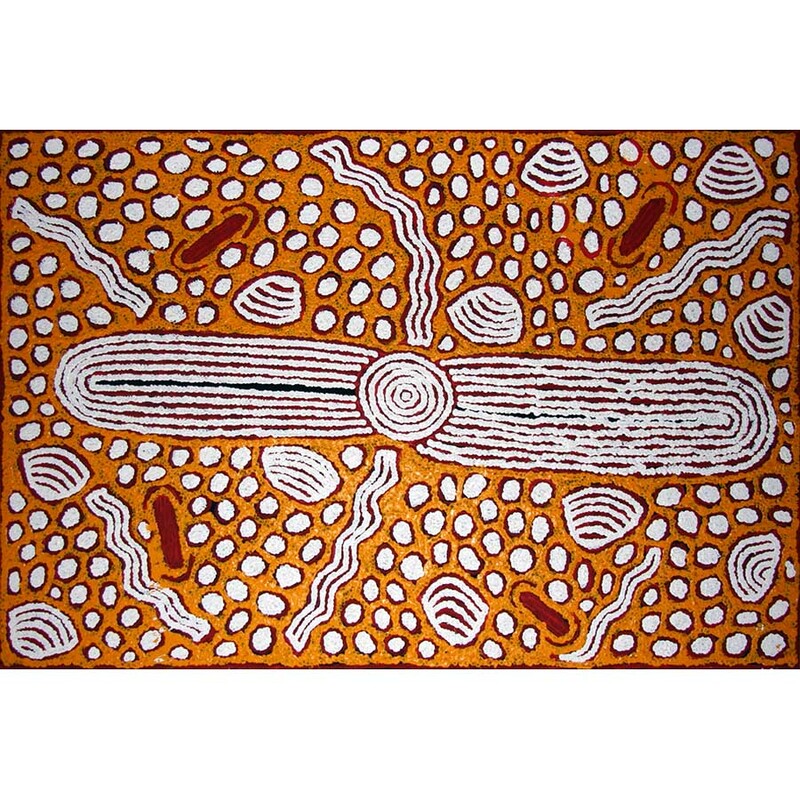 Being a traditional woman, Ningura would often sing the songs for the story appearing on the canvas as she painted. Her works focus on, and depict, the mythical travels of her Ancestors and the sacred sites in her country. Ningura, alongside other Pintupi women painters, took their art to a new dimension with their distinctive styles and technique. In fact they developed the classic Pintupi style of their husband’s legacy into delicately executed yet significantly strong contemporary designs. However, despite her bold and intense shapes, colours and forms, Ningura’s aesthetic is anchored by the activities and sacred rituals of women’s business.